Denis Robinson from London, England, plays the piano at St Pancras train station three times a week. The piano is left there for any member of the public to play to make everyone’s journeys more pleasant. 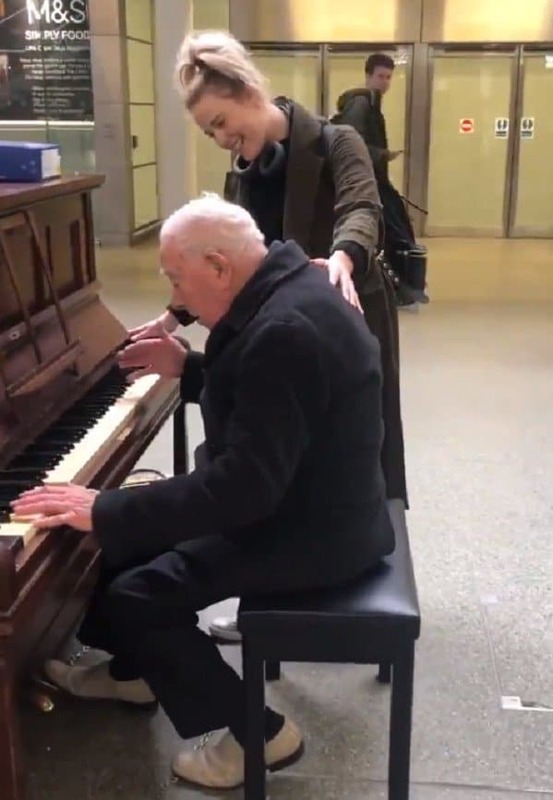 Commuters don’t usually bat an eyelid at the 91-year-old pianist and his tunes, but this time, something happened that would change his day completely. At 91 years old, Denis has had plenty of time to practise, and boy is he good. But today, his musical prowess caught the attention of Matthew Rowland. Matthew was travelling with the rest of the touring company of acclaimed stage show “Cats”. He pointed out to his colleague that Denis obviously needed some accompaniment, and pulled out his phone to film what happened next. 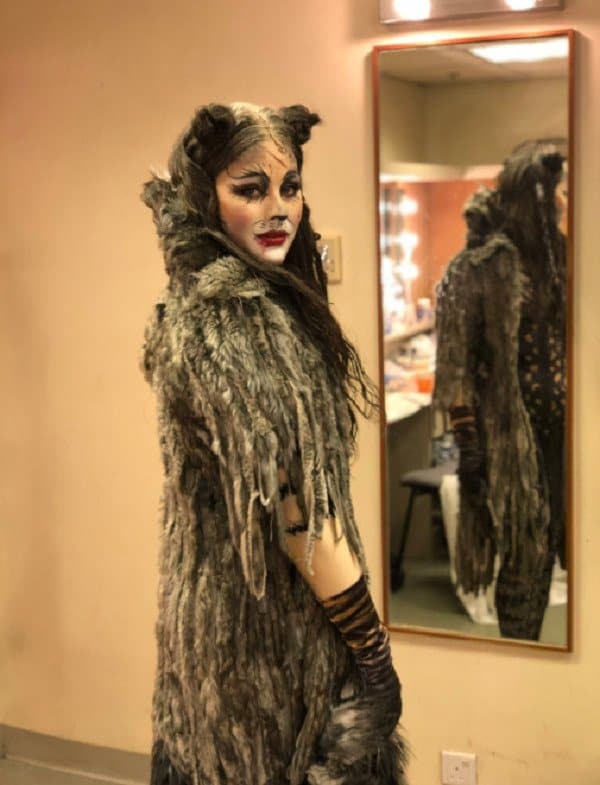 His friend and colleague Ceili O’Connor plays Gumbie/Jennyanydots in the show, and also is the understudy for Grizabella. Therefore her vocal prowess is obvious, as she has to tackle the show-stopping, world-famous song “Memories”. She put her gorgeous voice to good use and joined Denis at the piano. Her background in musical theatre is evident as she grins while effortlessly singing. She gently puts her hand on Denis’ shoulder and sings “Somewhere Over The Rainbow”. A crowd soon gathered to watch the beautiful duet live, and afterwards, Matthew puts the video on Twitter. It soon goes viral, because it is obviously so beautiful and moving. 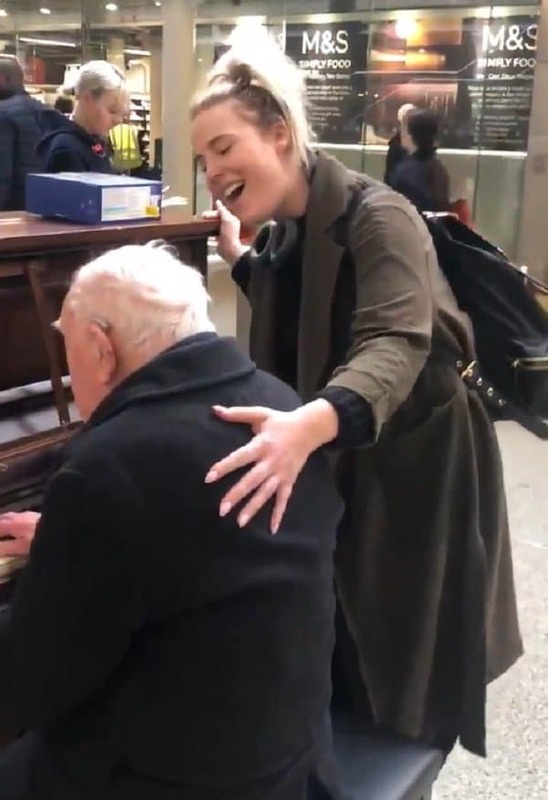 Despite her humble words, Denis the 91-year-old pianist and Ceili the young musical theatre actress seem like the perfect musical partners. Let us know what you think of their beautiful impromptu performance in the comments! Share with your friends and family if you enjoyed, and check out similar stories on Happiest.